Jeff Jackson is a novelist who writes beautiful stories about disturbing characters. His writing is given shape by remnants of dreams and the resonance of found objects. Anything can happen in the tales he tells...and do...to his readers consternation and delight. He is the author of the novels Mira Corpora, Novi Sad and Destroy All Monsters! His short fiction has appeared in numerous literary magazines. He has written plays, edited literary anthologies, co-founded a popular website on jazz, and received fellowships from several leading centers of art. He received his MFA from NYU. This episode is perfect for anyone interested in literary fiction and the summoning of culture to tell strange and wonderful narratives about identity and transformation. He talks about what makes fiction literary and what is and is not being read. He discusses why he chose the title Mira Corpora for the title of his first novel. Jeff shares how it is often our lives that stretch imagination. He talks about two characters in Mira Corpora - one that bears his name and the other that is quite disturbing. Jeff reflects on a blurb by Don Delillo about Jeff's novel and how it led Jeff to walk around the block. He discusses why he is drawn to writing coming-of-age stories. He talks about writing as incantation. Jeff summarizes his second novel Novi Sad and the value of hypnagogic time. He responds to a comparison of his work with the work of David Lynch. Jeff explains what makes a character interesting and what to expect in his next novel Destroy All Monsters! What makes a work literary and engaging to read? Is there a dreamlike-realism in your life? What makes a character interesting to you? 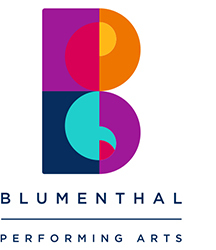 This episode is sponsored by Blumenthal Performing Arts, celebrating its 25th year presenting the best in the performing arts.